Hi, I’m Tak from Imari Tones. 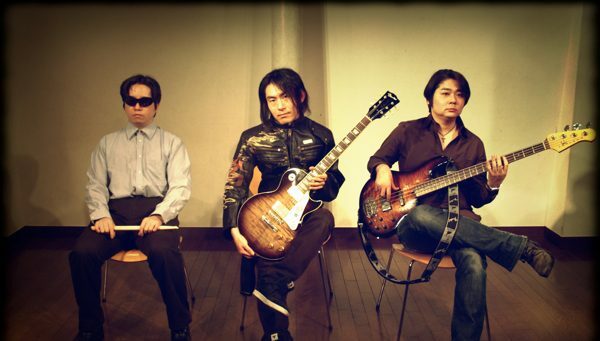 Imari Tones is, The first and the only Christian metal band from Japan. Today, we are going to start a new YouTube series. and it is called “The Road To Nabeshima”. During our years of playing as a Japanese Christian metal band, we have found our ultimate sound. In order to make it come true, I have decided to start this YouTube series and share our message with you. That’s the name of the ultimate sound. But before beginning, I have one news for you. In fact, it is a sad news. Hassy, our bassist. Played together since 2007. Jake, our drummer. Played together since 2008. They are not in the band any more. They left the band, in March this year. We played our last concert together in Tokyo. Later, end of the March, we had a private party, celebrating our journey, 10years of playing music together. We thanked each other, wishing well. And that was it. We said Good Bye. We had been playing together for 10 years. But they had to leave. There were so many reasons for this. You know, nothing lasts forever. After all, we had been making music together for 10 years. So please don’t criticize them for their decision. Please applaud them for what they did with this band. The reasons why they had to leave the band. I will explain them to you later. But the good news is, we have made one last album together. As you know, we have made a very important album called “Jesus Wind” and released it last year, November 2017. That was a concept album about Japanese Christian history. But we have made ONE MORE album. and it is a Japanese album. Let me tell you about this language issue. We were singing in Japanese BEFORE we became a Christian band. But since we became a Christian band, we had been singing MOSTLY in English. However, this time, all the songs on the album are in Japanese. So this is, actually, the first Christian album we sang the entire album in Japanese. But still, I don’t know how our fans overseas would react. Maybe they won’t fully understand the words. But I still hope our message will come through. We, will start posting those songs from “Overture” album pretty soon. So please look forward to it. We don’t know our future. We don’t know what will happen to our little band. I will never quit playing music, until we finish making “Nabeshima”, which is our ultimate music. There are so many choices in front of me. But I already started hunting for new bassist and drummer. So, if you know any good player, please let me know. I will go anywhere, anywhere in the world, in order to make “Nabeshima”. Okay, I think that’s it for today. Keep on rocking for Jesus. Previous PostOld Gospel Jam at Calling Records! Hi Tak. change happens and 10 years is longer than many in the mainstream. I trust and pray that you will have the right door open. I too am not worried about an album in Japanese. The ears and soul enjoy music in any language. You know that I shall be ordering a cd of Overture when it is available. Best wishes and support to you brother. May Jake and Hussy find their next direction too. Looking forward to seeing what comes next and watching that journey down the road to Nabeshima.